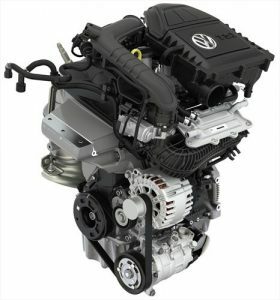 Sporting a 1.0 TSI engine, a forerunner to Volkswagen’s small engine strategy in South Africa. 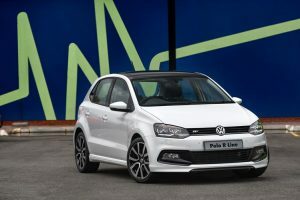 This comes after Volkswagen’s success of selling over 155 600 Polo hatch body variants in South Africa since its launch in February 2010. Volkswagen has revealed that the fuel efficient small capacity engines will be the main feature in Volkswagen’s future models. 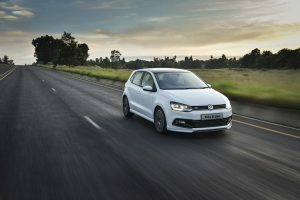 In fact, they have so much faith in the new light weight engine that the cylinder 999cc engine will be the base engine of the new Golf which will be launched locally at the end of the second quarter. Delivering 81kW of power at 5000rpm with a maximum torque of 200Nm from its 1.0 TSI engine this gorgeous vehicle sprints from 0-100 km/h in just 9.3 seconds. Pretty impressive for such a small engine. Even more impressive is the combined fuel economy of 4.4 litres per 100 kilometres with the added Blue Motion Technology complete with Stop /Start as well as battery regeneration systems for further enhanced fuel efficiency. Mating the 1.0 Litre TSI engine to a 7-speed DSG transmission. 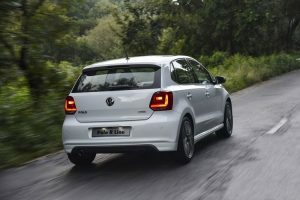 Adding a sporty flair to the already impressive Volkswagen Polo 1.0 TSI is the R-Line package. 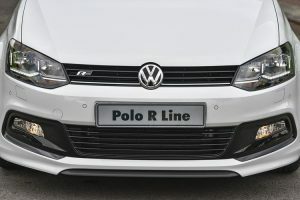 This is the first Polo derivative to be offered with the exterior R-Line package, and is sure to stand out on the road. The Sporty features of the R-Line package includes a R-Line Logo on the radiator grille, front and rear bumpers, still extensions, a sporty rear diffuser with an integrated chrome exhaust tailpipe, a rear spoiler in body colour and 17-inch Serron alloy wheels. steering and front fog lights. (front and rear), rear view camera and LED headlights with separate LED daytime running lights. Wondering how much this little sportster will set you back? a 12 year anti-corrosion warranty. Service Interval is 15 000km.